With a subtle, cool feel and beautiful ornate features drawn from the Cole and Son archive, this Blake Wallpaper in 94/6035 colourway complements many styles of home. It has a classic and traditional feel with sophisticated 19th century inspiration and it is one of many beautiful designs in the Albemarle Collection by Cole and Son. 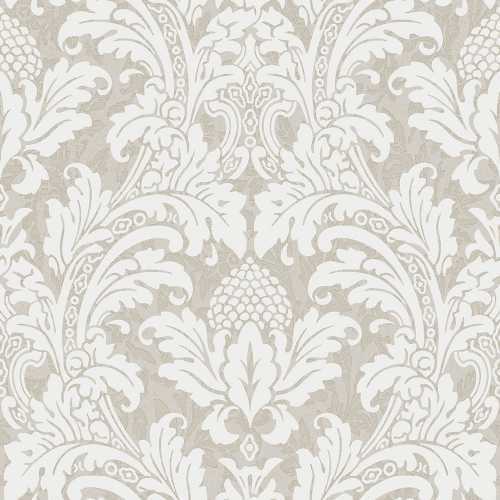 As the name suggests, this wallpaper is named after the famed poet William Blake and has an elegant charm which suits both the name and the period it is emulating. 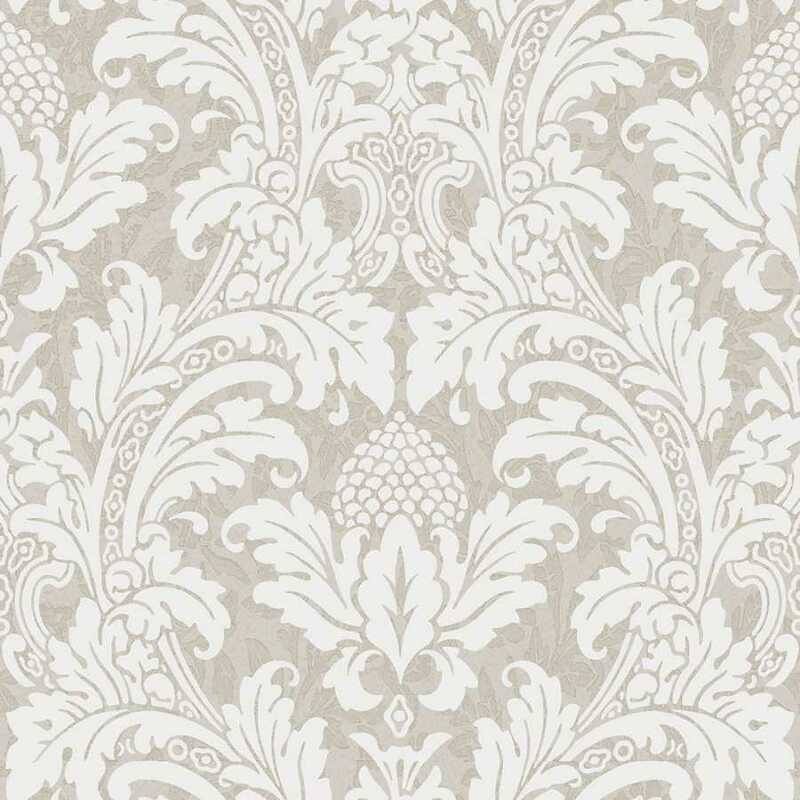 The Blake Wallpaper by Cole and Son features a surface printed damask pattern. 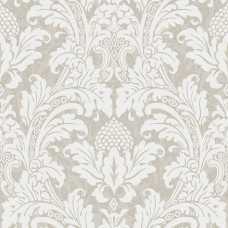 In this 94/6045 colourway, it features a gentle textured grey/silver background with a white damask overlay. The combination is cool and subtle and it has a neutral feel which makes it easy to work into many different spaces with ease. 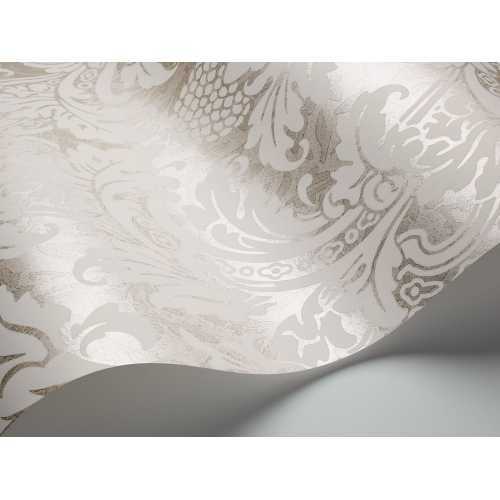 Each roll of Blake Wallpaper measures 53cm in width and 10.05 metres in length. It has a 53cm pattern repeat and a straight pattern match. There is a grandness to this wallpaper which makes it perfect for feature walls and rooms and it brings period elegance without overwhelming the feel of your interior.